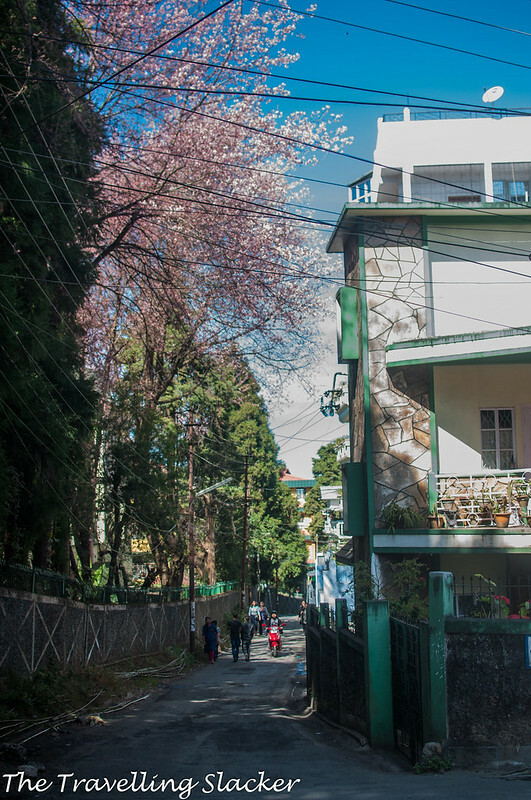 So, I reached Shillong again a couple of days ago, this time to catch the cherry blossom season, which is a surprisingly new trend that is being mainstream-ized by the International Cherry Blossom Festival. This Festival started only last year and I first heard of the cherry trees only a couple of years earlier when I was there to visit Mawlynnong. During my earlier visits to Shillong, I don’t remember anyone talking about cherry blossoms. Nevertheless, I do think that they make some great frames and so I decided to make a quick round to the city. 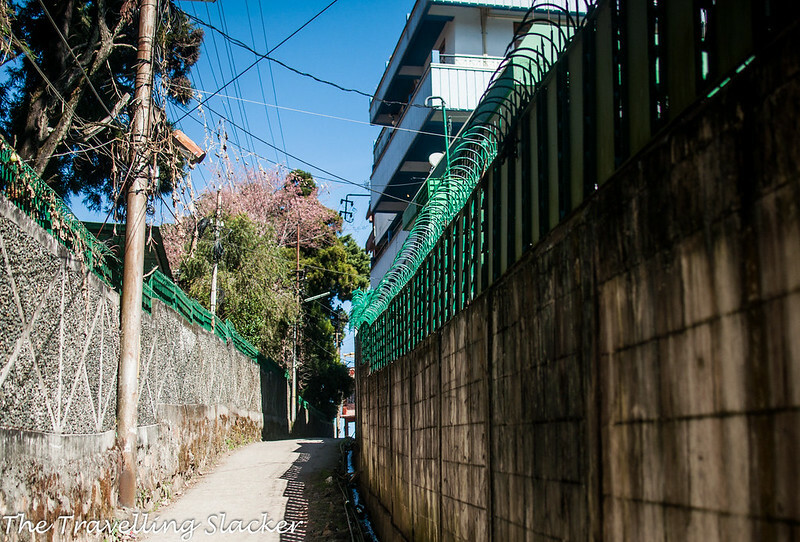 I have never made a post on Shillong before but it is a familiar place for me and I have seen most of its primary attractions in the past but not after I started my blog. So, intended to have a quick walk around the city although very soon I realized that my timing was far from optimal. Anyone familiar with Meghalaya would know that the primary attraction of these hills are the waterfalls and cloudscapes that look best during the rainy season. Post monsoon, the hills turn grey and the waterfalls become leaner. This phenomenon can be compensated by the aforementioned cherry blossoms but this year, due to various reasons, the blooms cherries were refusing to bloom. As a result, I literally struggled to find one blooming tree all over the town as I entered the city although the eponymous festival was already going on in full swing. The Guwahati-Shillong shared Sumo from Khanapara cost INR 170 and it was a smooth and eventless ride. After reaching the town, I went directly to Ward’s Lake, one of the primary venues for the festival and also one of the primary attractions Shillong in general. It is named after a British administrator who envisioned the lake right at the heart of the city and actually got it dug. Here, I finally found a couple of blooming trees although I was expecting more. 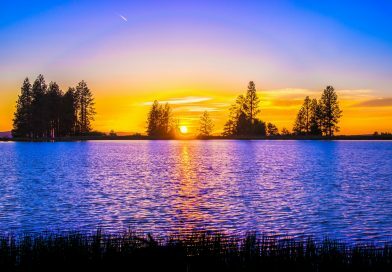 Nevertheless, the lake lived up to its reputation and provided some good frames in the dying light of that autumn evening. I wanted to make the next day count. But it was not realluy working. I visited Beadon Bishop and Elephanta falls but they looked far more subdued than what I remmeber from a monsoon visit during the summer vacations in the mid-90s. The harsh sunlight was not helping and in fact, it was far warmer than I’d expected. I bumped into some other travellers I knew. They were also looking for the same thing without any success. We teamed up, gave up on the cherry blossoms, and started walking around the markets. 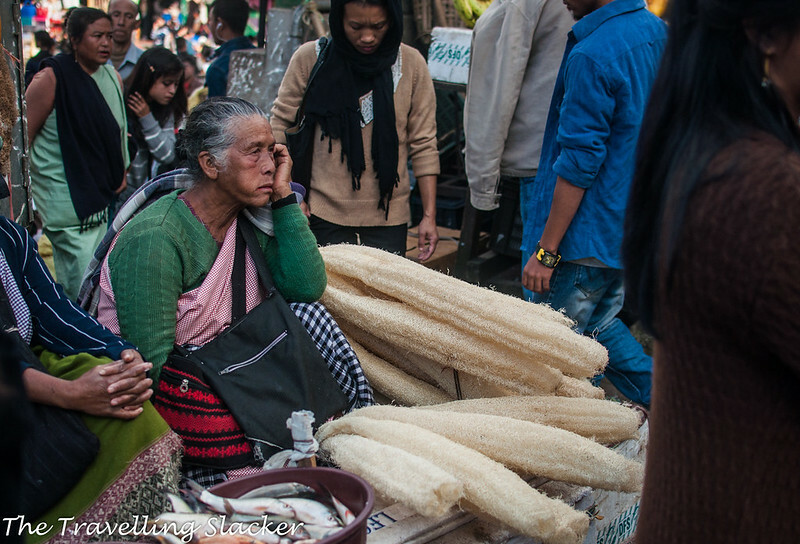 The most memorable thing I saw during this walk was the sight of local women selling skeletons of gigantic sponge gourds. Yes, we have these ones in Assam too but normally they are half the size. Later that night we made our way to the Polo Ground, another of the iconic locations of Shillong that was hosting the rock concert as a part fo the festival. Shillong does have a rich musical tradition and it was a good show with many local bands singing their own songs as well as covers of iconic bands. We found a few stalls selling local wines. It seems they have begun to make wine out of everything. Cranberry wine, orange wine, jackfruit wine, mulberry wine, and scores of other varieties were being sold. We got one too and had a good time while the bands raged on. But… whatever happened to the blossoms? I needed to return the next day. But I was finding it hard to believe that I will be returning without a single decent photograph of what I came to see. So, I decided to give in one last try. I also got some insider tips from various people on the social media and it seemed that the blossoms have finally arrived. I started walking from the Polo Ground to Laitumkhrah through a narrow alley near the NEEPCO office and soon spotted one tree in full bloom. After that I started seeing them more often. I was told that the St. Edmund’s College is a good place for the same. I walked towards that and soon found a frame what turned out to be the most satisfactory one for the day and for the entire trip. My frustration was finally gone and I was ready to leave Shillong but I decided to pay another visit to Ward’s Lake before I leave. This decision paid off too. The festival was over already but the cherry blossoms had finally arrived! I am not sure how to feel about it. They are not going to last long. After so much wait and speculation, they offer some brief moments of joy and disappear again, like some brief moments of passion in a star-crossed love story (Yes, I hate myself for writing these cheesy lines). Have good day. 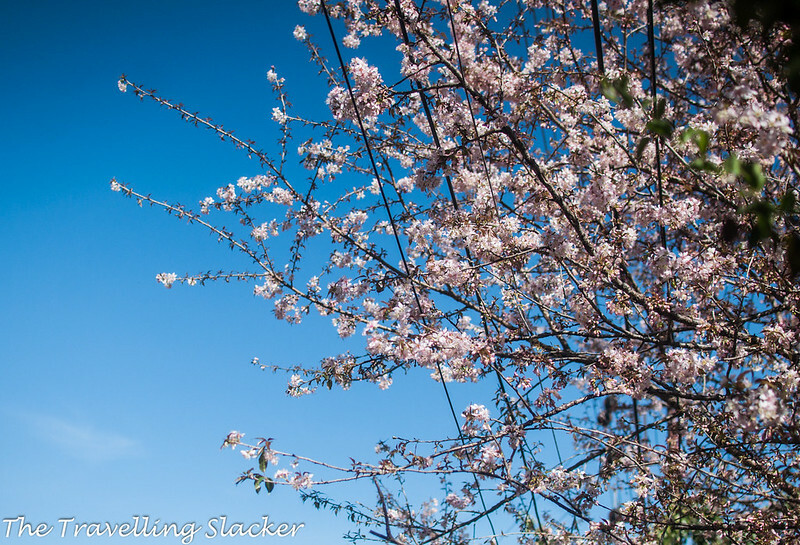 When does the Shillong Cherry Blossom Festival Take Place? 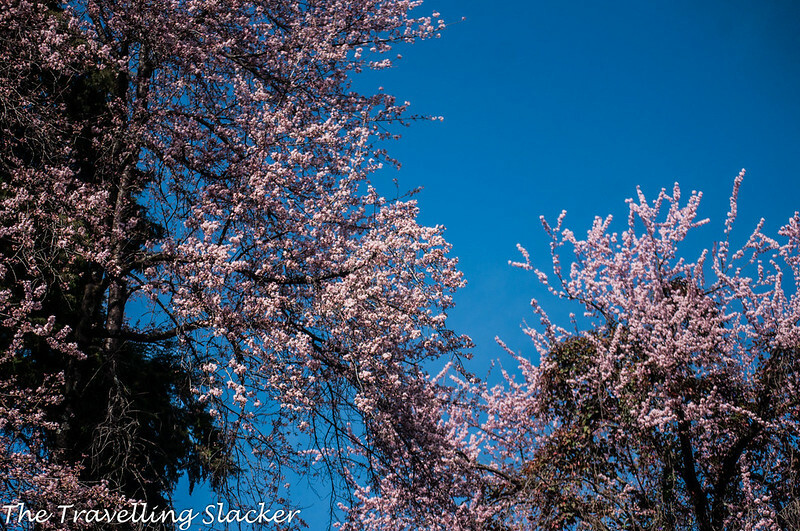 What are the dates for Shillong Cherry Blossom Festival in 2018? How to reach Shillong from Guwahati? 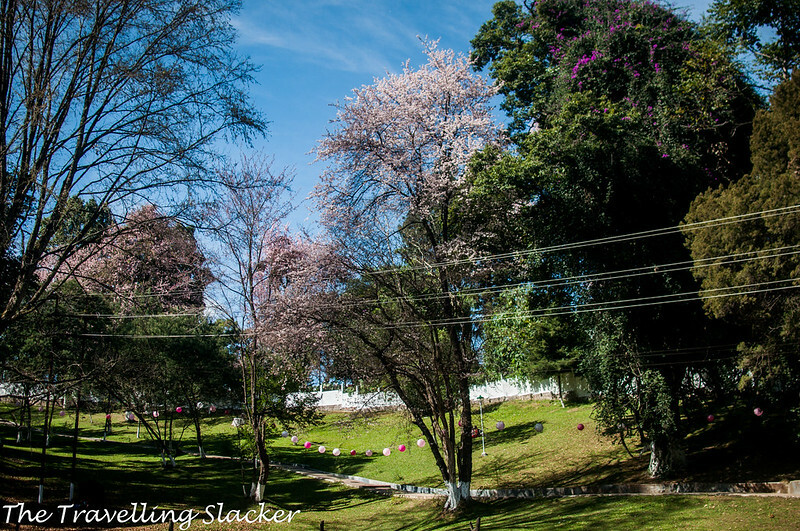 Where does the Shillong Cherry Blossom Festival Take Place? 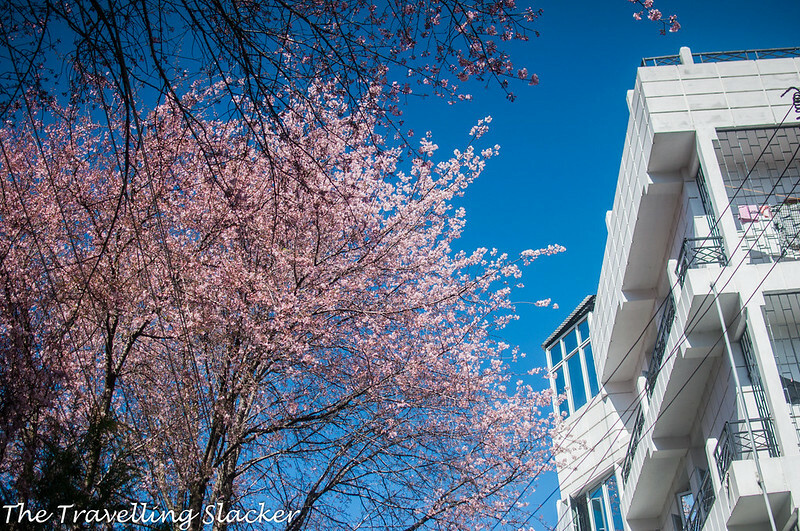 How to travel from one venue to another during the cherry blossom fest? 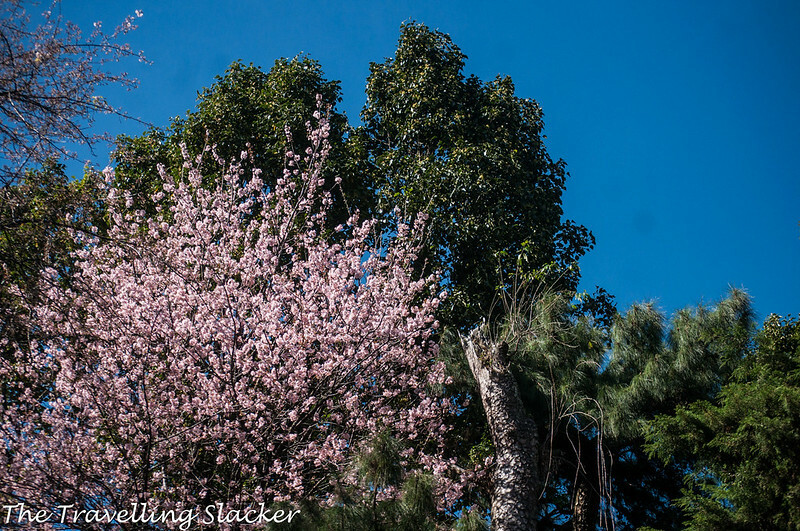 Is there any fee for attending Shillong Cherry Blossom Festival? 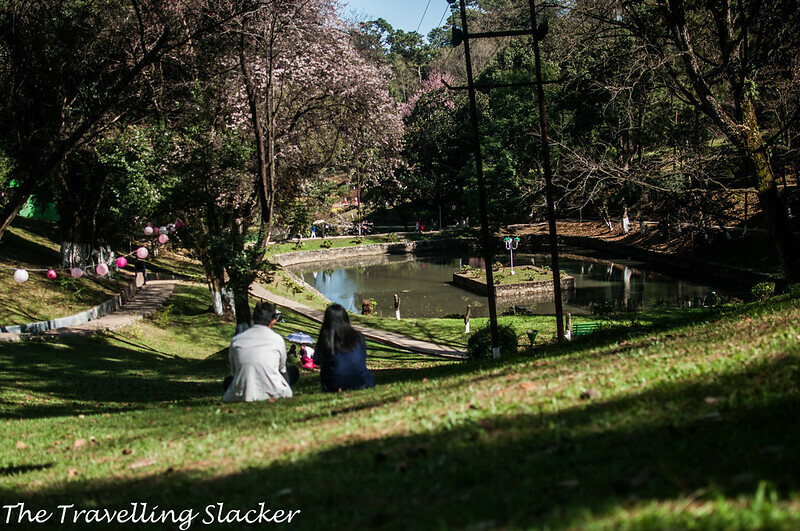 What to expect during the Shillong Cherry Blossom Festival? 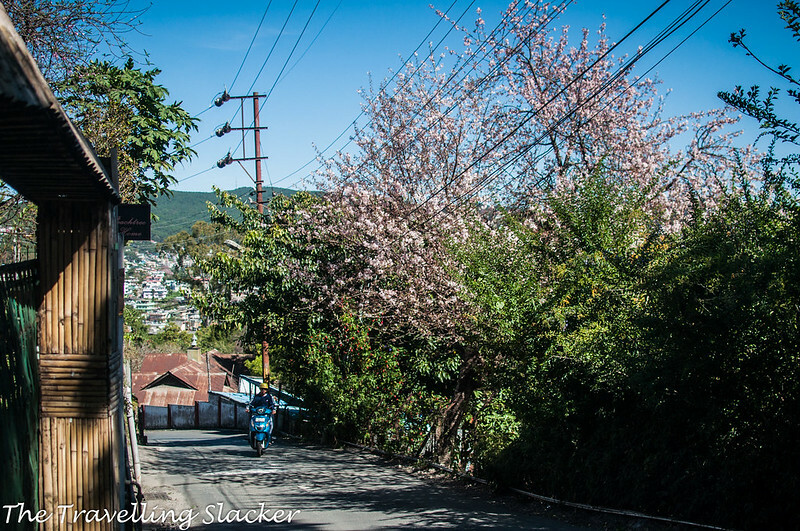 Where, when and how to find the Cherry Blossoms in Shillong? What else to do in Shillong? It normally takes place during the first half of November. For the exact date, check their official site or social media pages before you start planning every year. The Festival is being organized this year from 14th to 17th November. This year they are even inviting dignitaries from Japan, the original land of cherry blossoms. You will get shared cars from Paltan Bazar (near Railway station) or Borjhar Airport. They should cost no more than INR 300 per head and takes around 3 hours or so. You can also take local transport to reach Khanapara, which is on the edge of Guwahati, and get a shared Tata Sumo for only INR 170. Buses exist but they are infrequent and timings may be awkward. 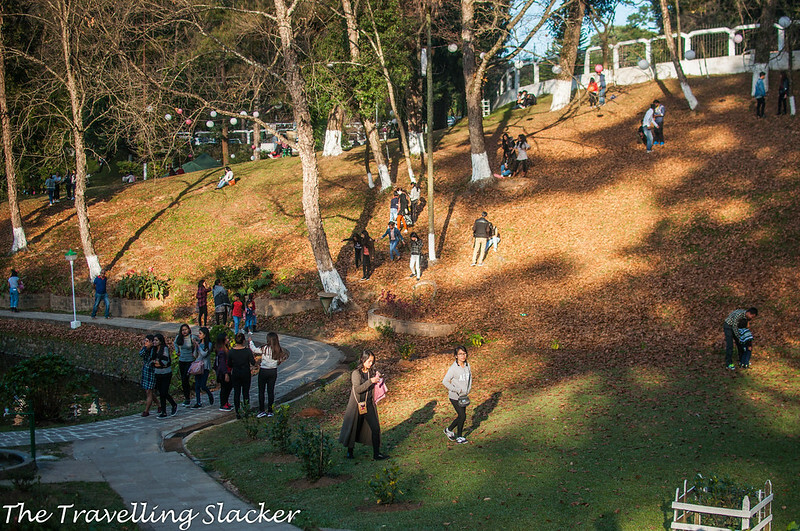 Events take place at various venues around Shillong such as Ward’s Lake, Polo Ground, and some stadiums in the city. Normally these places are not far from each other and not hard to reach once you are in the city. 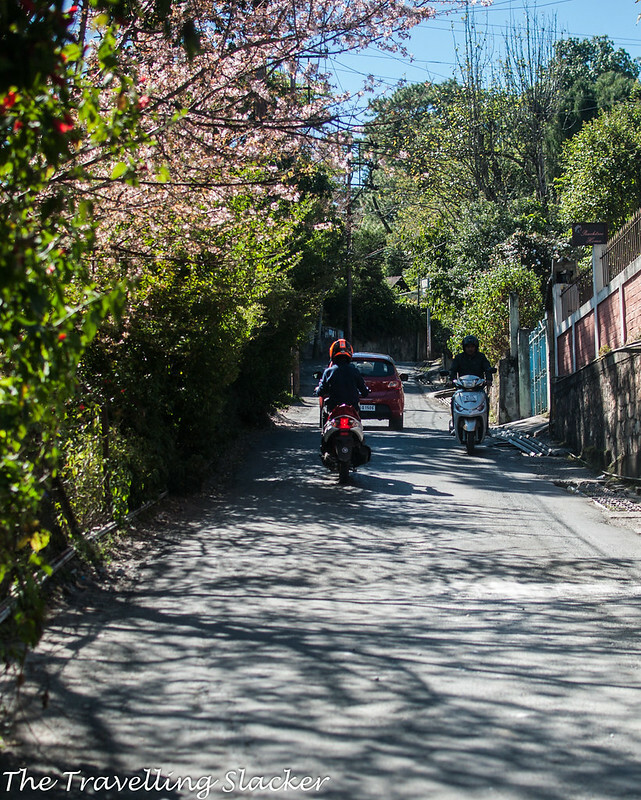 Hiring a cab for yourself can be expensive in Shillong. So, check the map and get yourself acquainted with the place names within the city so that you can hop into any of the cabs carrying locals. 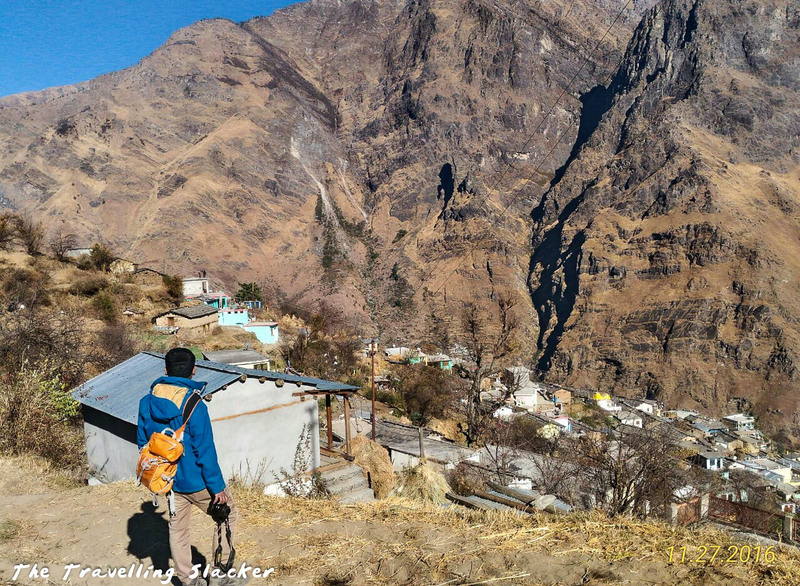 This way, you should reach any place in INR 10-20. Not really. Events are generally free for all to attend. You will have to pay the normal entry fee at Ward’s Lake. Apart from the Cherry Blossom, you can enjoy the musical concerts and always try the local food, rice beer, and fruit wines. They should be easily available in the stalls around the venues. As you must have realized already, the blossom timings are not exactly predictable. 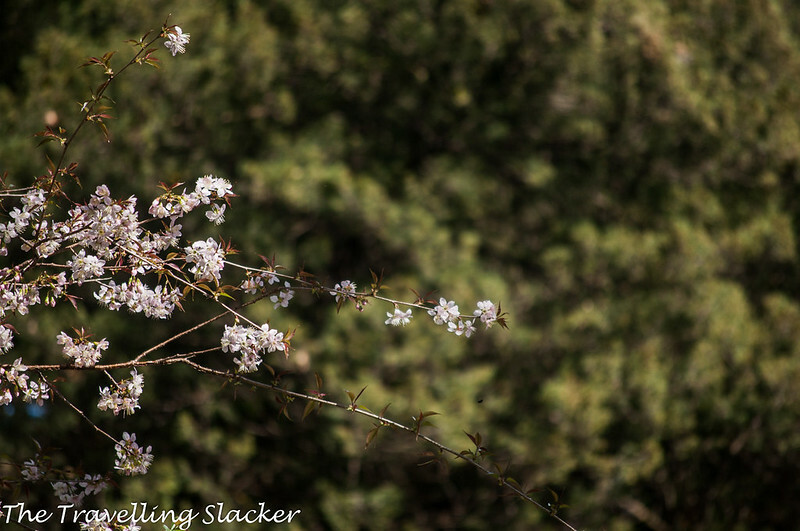 The festival is planned to time with the blossoms but as it happened this year, it turned out to be a bit too early. No one can exactly predict the nature but ideally, they bloom between late October to most of November and they last 2-3 weeks only. However, once they start blooming, you can see them all over the city and you don’t really have to search for them. Well, Shillong has been a popular hill station for ages. There is much more to do here even if you don’t make it to the festival. 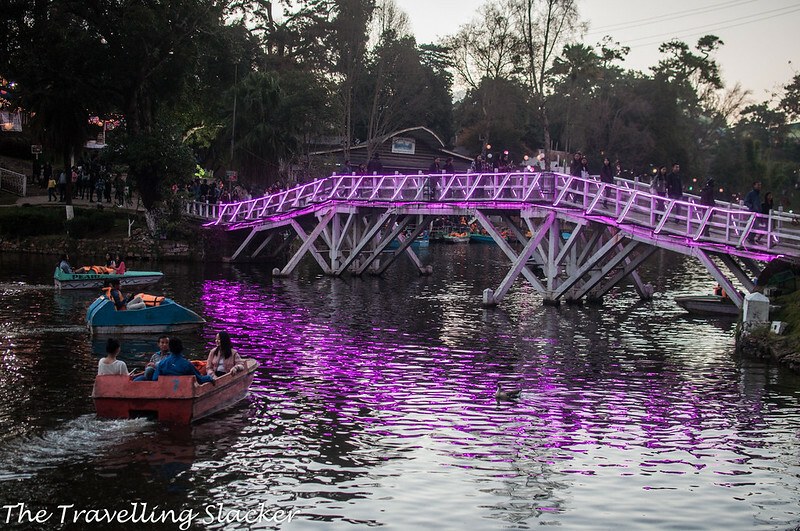 Here is a good post that can give you some other reasons to visit Shillong. 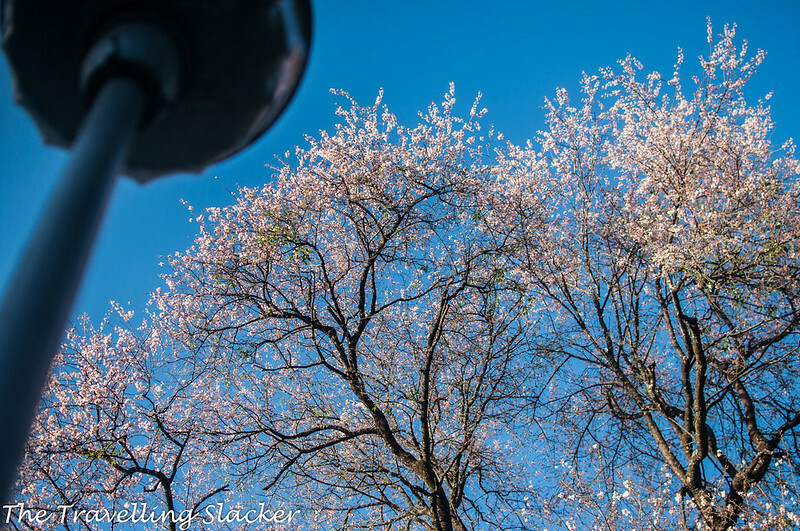 Jitaditya, Thanks for the informative post of Cherry Blossom Festival. Beautiful pics. My favorite 6 and 7 no pic. A beauteous and informative article. That’s what I wanted to read. 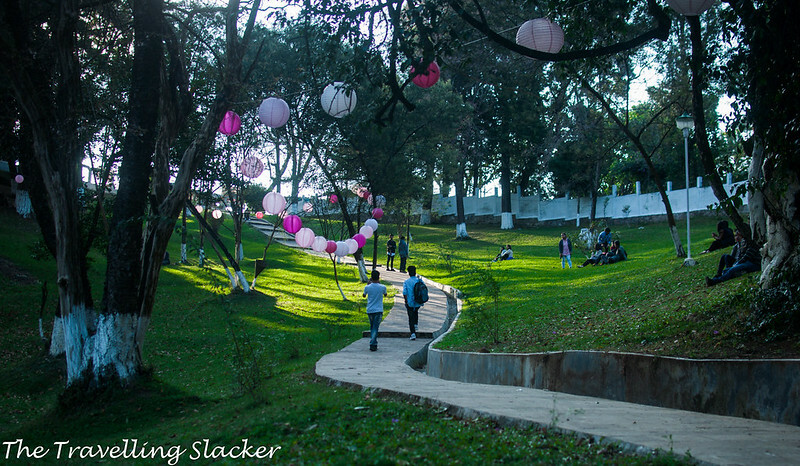 As soon as I came to know of the Shillong Cherry Blossom Festival and wanted to read a detailed review about it and here I got it! Cherry Blossoms look so picturesque. I’ve seen some gardens in London. Hope I’ll get to see in Shillong next year. At least now people will not have to shell out a lot money to see Cherry Blossom. Our first encounter with Cherry Blossom was in Washington DC. 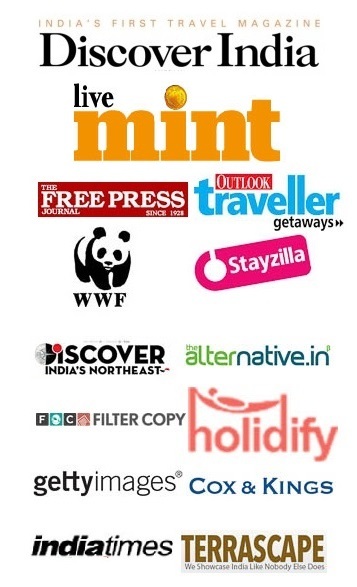 Hopefully this will become a mainstream event in India. This is so pretty, and such a nice change from the autumn weather we have in Europe! It feels like spring, and I never knew you had these cherry blossoms too. It’s good to know it’s also free for the events there! Funny that the blossoms weren’t cooperating with the festival! The area looks pretty even without the blossoms. Hopefully next year the festival will line up with the blooms. It is interesting how the cherry festival is in November. I am used to cherry blossom festivals in April and May. The trees are beautiful and it’s nice that in the end you finally found some, after searching for them the entire day. It’s nice that there is a festival dedicated to them, I’d like to visit and try the local delicacies, like the fruit wine. Truly wonderful. I was not aware they had this much cherry blossom in Shillong and I can imagine being there during the season to appreciate all the colorful beauty. The festival is a great idea to celebrate this natural beauty. I didn’t know that India has its own cherry blossom festival. The government needs to promote this more aggressively. The pictures and text you shared is valuable. It makes me want to go asap. Got introduced to cherry blossom festival of Shillong from number of Indian bloggers. In all pictures, the festival seems very interesting. Informative Article, very nice and attractive place and i like the cherry festival keep posting.